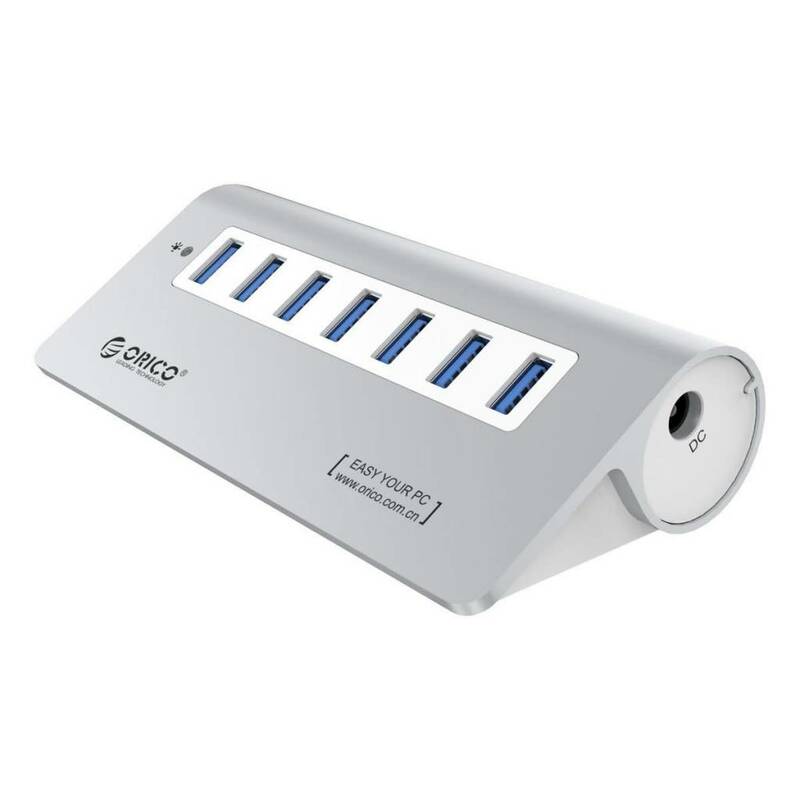 ORICO M3H7-SV USB 3.0 7-Port Aluminum Hub with 12V 2.5A Power Adapter and 3.3-Foot USB 3.0 Cable [VIA VL812 Chipset] - NWCA Inc. Simple and elegant, delicate aluminum surface texture, it is the wise choice to show your taste, this hub is perfectly matched with iMac, MacBook Air, MacBook Pro, MacBook, PCs and laptops, it is sleek yet durable and serves a long working life. 7 ports USB3.0 hub, 32d angle of inclination designed so that you may easily plug your device, which fits for desktop extension. 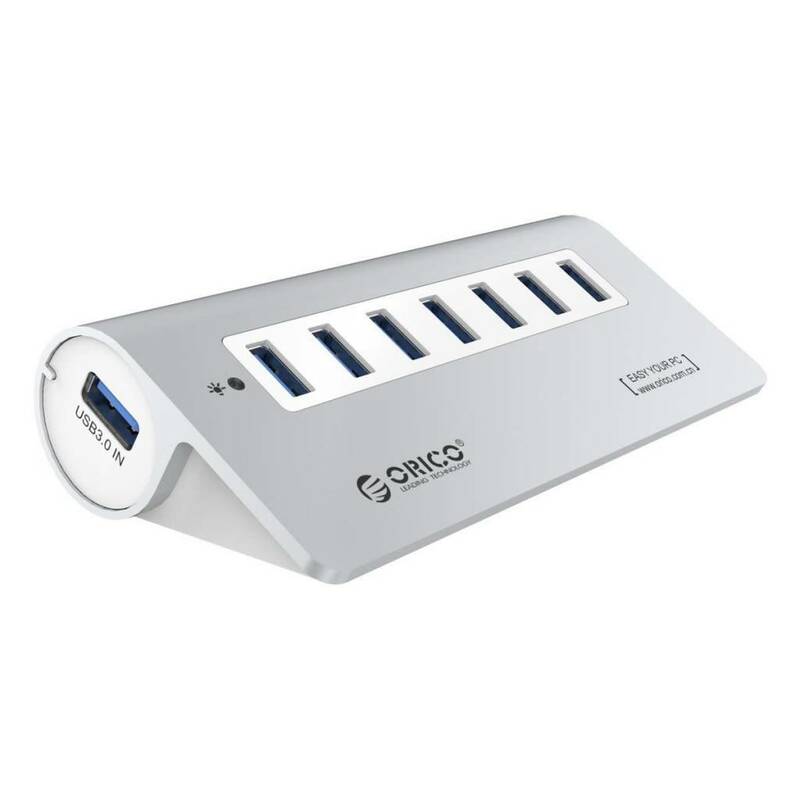 ORICO SuperSpeed USB3.0 hub built in with a 3rd-gen VL812 USB3.0 controller which provides an easy and reliable connection with a transfer speed of up to 5 Gbps, 10x greater than USB2.0 that allows users to add 7 USB3.0 ports for your computer in seconds, backwards compatible with USB2.0 and 1.1. 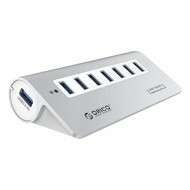 ORICO USB3.0 hub is smart but powerful, no driver or application needed. Plug & Play installation, support hot-swapping. 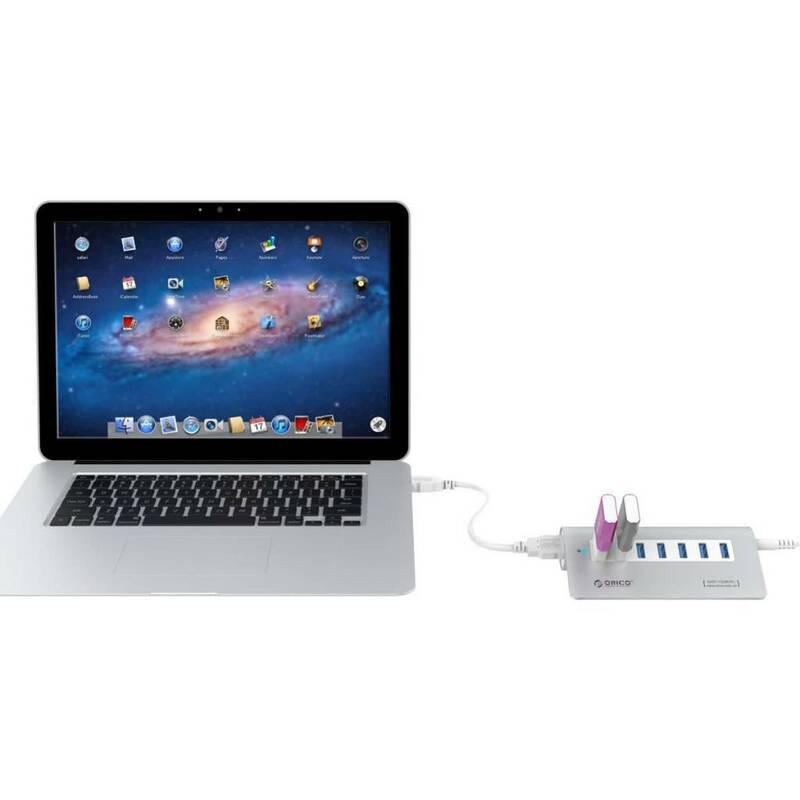 This is a very easy way to access all your devices or be connected at once. You will never be worried about USB connection. 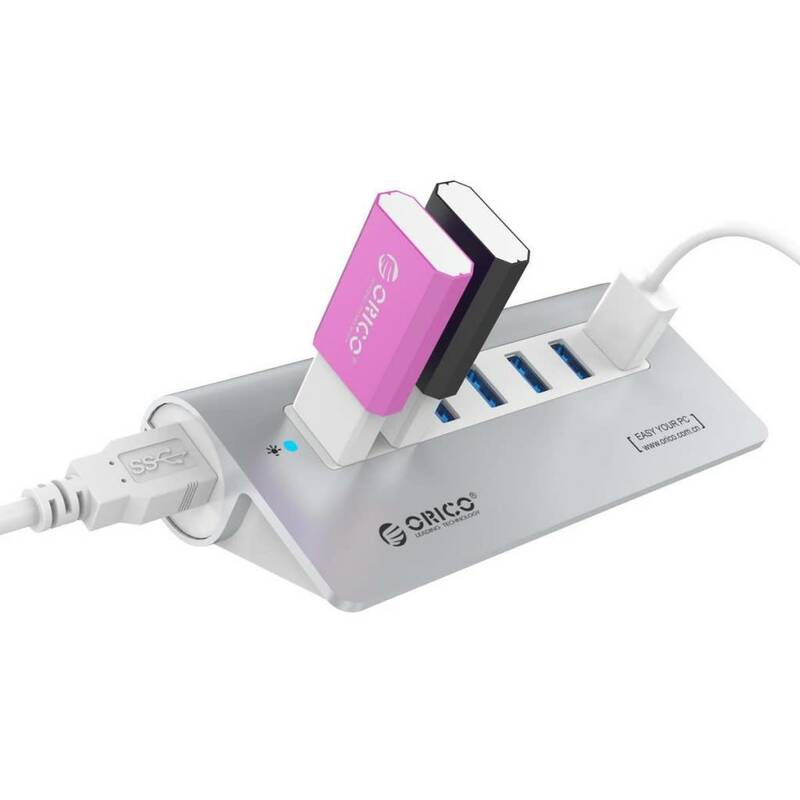 7 SuperSpeed USB3.0 ports for any Windows, Mac, Linux computer, it is compatible with most devices such as phones, tablets, laptops, desktops, and other Apple devices and more. What is more, it is certified by CE, FCC. Note: Hub is not a charger.